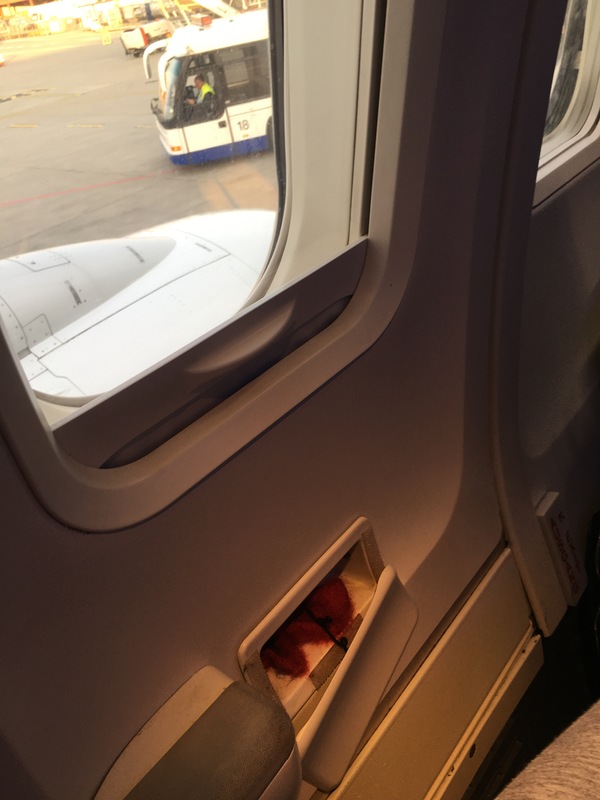 Today I had the responsibility of sitting by the exit door of an airplane. There’s a trade-off with the emergency exit row, where you get a load of extra leg room in exchange for being in charge of the safety of everyone on the plane if anything goes wrong. I mean, the responsibility is literally just ‘open the door when you’re told to’ but it’s still on you over anyone else on the flight. It got me thinking though, about, you know… crashing. Like, if the plane crashed and I had to open the door, fair enough. But then what? I mean, I don’t think there are any desert islands anywhere on the flight path between Geneva and Gatwick, but the question still stands. My answer to my own question was simple: My Rubik’s cube. Aside from the obvious survival essentials (whatever they are), the most important thing is to keep yourself entertained, right? I don’t fancy myself as much of a survivalist, so I’ve gotta keep myself busy somehow. And I reckon a Rubik’s cube is my best bet for that. I thought that I could take a good book, but there’s only so many times you can read a book – no matter how good it is. But I could do a Rubik’s cube an infinite number of times and never get bored of it. I could sit for hours and solve it, mess it up, solve it, mess it up, solve it. 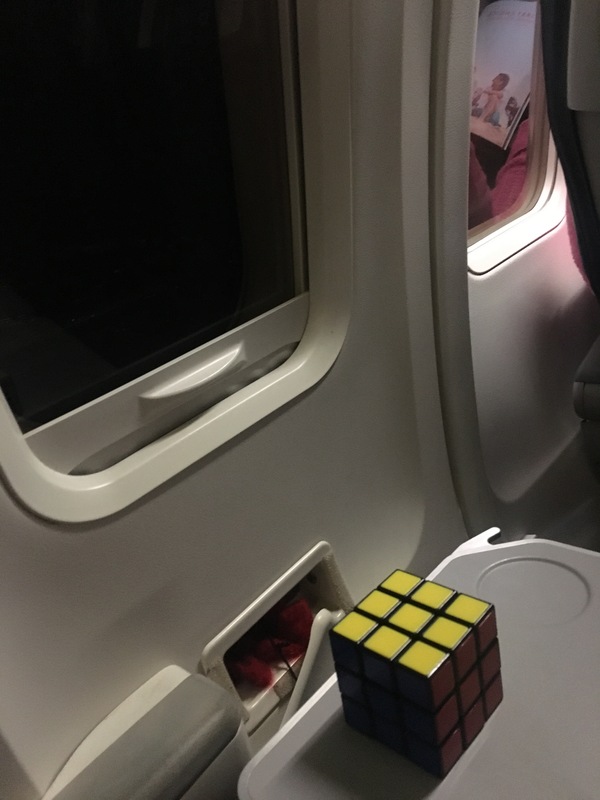 I’d need something to pass the time, and my Rubik’s cube is perfect for that, I reckon. You can’t take anything electronic, because it would eventually run out of charge, and you’re only allowed one item so even if you could find a plug socket on the desert island you wouldn’t be able to use the charger anyway. You could take a pen knife, or a shot gun or something to help catch food, but they don’t let you take those on planes so you can’t get them to the desert island. A book would have practical uses, I guess. You could use the pages for kindling for the fire, but there’s only a limited number of pages. It’d be best to take War and Peace or something, but why would you want to do that to yourself? You’d rather burn it than read if, that’s for sure. So the answer is obviously a Rubik’s cube. It’s not just entertainment for me either. I could boost group morale by teaching others how to solve the Rubik’s cube. That would distract them for a bit whilst the others go off and hunt for wild boar or whatever the available protein is on this fictitious desert island between Geneva and Gatwick. We could hold competitions to see who could solve one the fastest. You could probably use the edge of it to kill a fish if you couldn’t find a stone, too. See, not just fun. Practical. And educational. Until tomorrow, what would you take with you? A radio that charges by turning a crank.